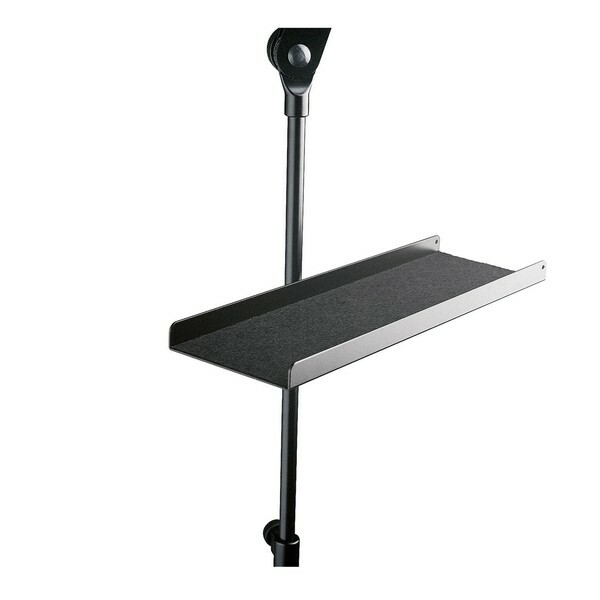 The K&M 12218 Instrument Tray is a practical music and instrument tray made of strong aluminium which provides the ultimate protection for both your music and instrument. Featuring felt inner-lining preventing any damage to the instrument. The K&M instrument tray attaches to K&M stands with tubing diameter up to 30mm, making this the perfect tray for travelling musicians.